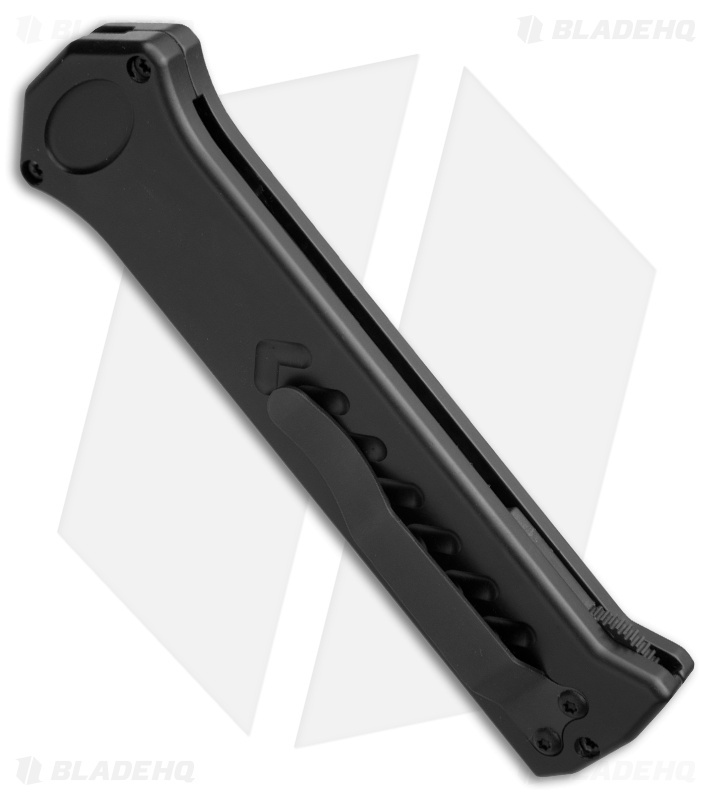 The Paragon PARA-XD is based on the ATKO 10 design. 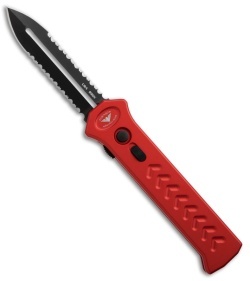 Just push the button and the single action automatic knife fires the blade out-the-front of the handle. Action is fast and lock-up is nice and tight. To retract the blade just press the button in and use the retracing lever to pull the blade back in. The sliding safety lock on the face of the handle ensures the blade stays closed or open if you please. These Asheville Steel Paragon PARA-X knives are proudly made in the USA. This PARA-XD features a double-edged dagger blade with fully serrated edges, the "Devil's Tongue." The blade is black finished S30V stainless steel. This knife features a red hard coat anodized 6061-T6 aluminum handle with a sliding safety and tip-down pocket clip.